I’ve dreamed of it for as long as I can remember, although for some people it is a regular weekend activity. Personally, hiking a 14,000 footer had been a long-term goal of mine. Perhaps it’s because I am native to the east coast, where the highest peak is the venerable Mt. Washington at 6,288 feet, or maybe it is because I grew up with a fear of heights, or it could be because hiking, now more than ever, holds great value in my life. Whatever the exact reason was, I was thrilled at the prospect of finally being able to fulfill it. I arrived in Colorado on a Monday, and planned on attempting Mt. Bierstadt on Saturday. It worked out well that I had about a week of time to acclimate to the altitude before the big day. I used that time to mentally and physically prepare myself; I was most worried about the effect that the altitude could have on me. I had been to Colorado before, a few years back, but the most hiking that I had done was the Flat Irons and other shorter, similar objectives. Ironically enough, fellow east coaster and photographer Jack Roberts was also in Colorado at the same time. Jack and I had been trying to meet up to shoot together back east for some time and now that we were both there, we decided that we had to hike a 14er together. 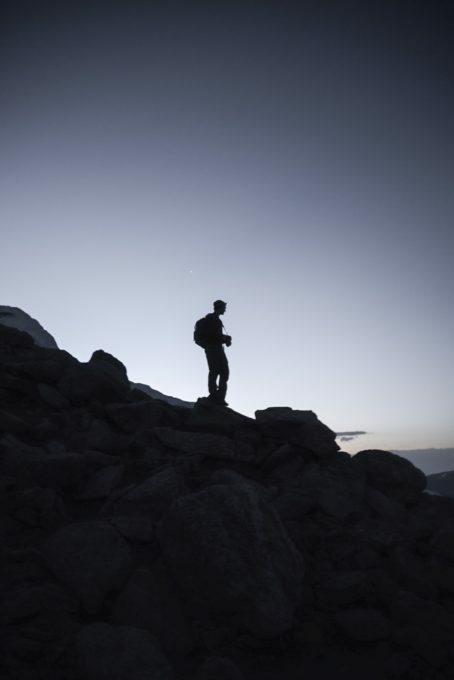 As two photography enthusiasts could be expected to decide, there was no other way to do the hike than for sunrise. Saturday morning, Jack picked me up at 1:00 a.m., and we began the 2 hour drive to the Bierstadt trailhead. When we arrived, there were already a few cars parked in the lot; our assumption is that they had a similar plan to ours. As we stepped out of the car, into the crisp air, it became apparent that it was going to be a chilly morning. 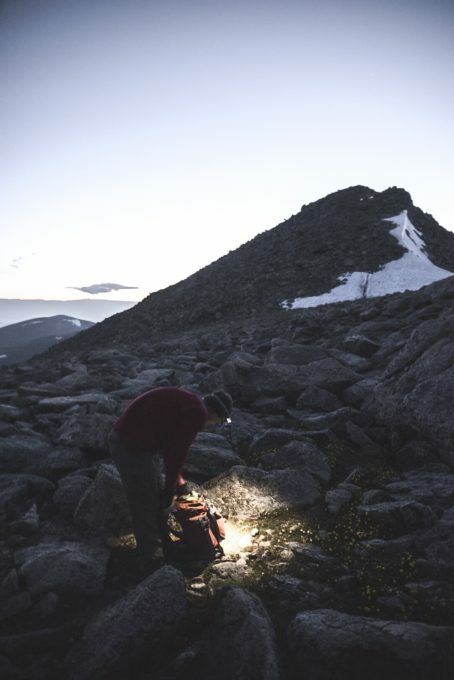 Both of us anxious to start ascending, we quickly organized our gear, shouldered the weight, turning on our headlamps as we approached the first trail sign. The first 2 miles of the 3.5 mile summit trip went by smoothly and quickly. Bierstadt, as I discovered, had been a great choice for my first 14er. I was surprised at how rapidly we were moving. I remained calm and confident in the rest of the push that we had. 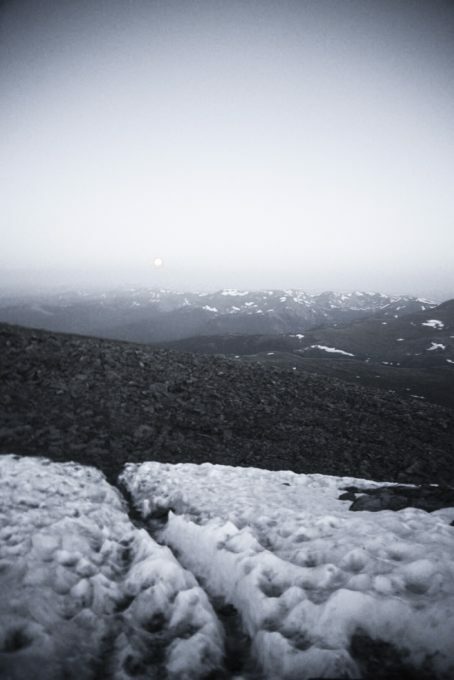 The full moon was illuminating our way so well that we barely even needed our headlamps. We caught a few glimpses of the dotted glow of other headlamps on the trail, both behind and ahead of us. As the trail steepened and we approached the final mile of the hike, a couple of details caught our attention. First, both Jack and I were beginning to feel the true affects that altitude can have. Jack had done Bierstadt before, as well as another 14er before this and was better off than I in preparation for the change in elevation. The first effect that I felt was that my limbs were beginning to feel heavier than normal, especially my legs. Shortly thereafter, I began to feel lightheaded and headache creeping on. With my 3 liter Camelbak reservoir and plenty of food for fuel, I felt myself ease back into a more comfortable state before moving forward again. The second detail that caught our attention was the sky starting to illuminate just to the left of the summit ahead of us. With the gaining altitude, we figured it was a good time to reassess the layers we were wearing. The wind had picked up slightly, and with the sun still down, the air was cool on our already sweaty shirts. 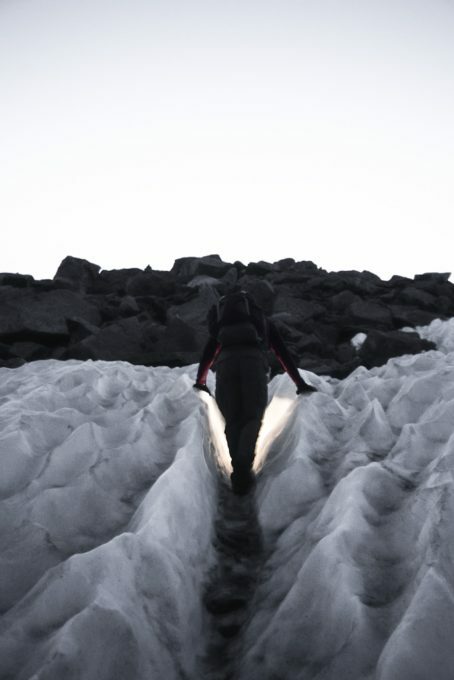 Pushing forward, we came upon a couple of small snow and ice fields to maneuver through. Neither of us carrying micro spikes or crampons, we took our time; carefully positioning and selecting our steps as to not slip. Once we passed these fields, we could see the rocky summit just ahead. Our strength and energy seemed to magically reappear as we doubled our pace in excitement. In my time, I’ve seen a lot of sunrises. In fact, back home in the White Mountains, I make a habit of it because of the unbeatable reward of emerging light at a summit. This one was especially powerful. When we made it to the top (14,060 feet), the sun had climbed, but it still had not quite surfaced over the adjacent peak, Mt. Evans. The wind picked up even more and the cold seemed to sink beneath our layers. We added layers, but felt warmth seep back into us from the views alone. Setting down our packs and finding a somewhat flat rock, we sat for the first time to appreciate what we had done. Between bites of our Clif bars, swigs of our water, and talking with excitement to what we were witnessing, we snapped a few shots of each other and the few strangers that we shared the summit with. With the nausea still in effect for me, I found myself moving around less, shooting less, and for once, taking more time to enjoy the views. 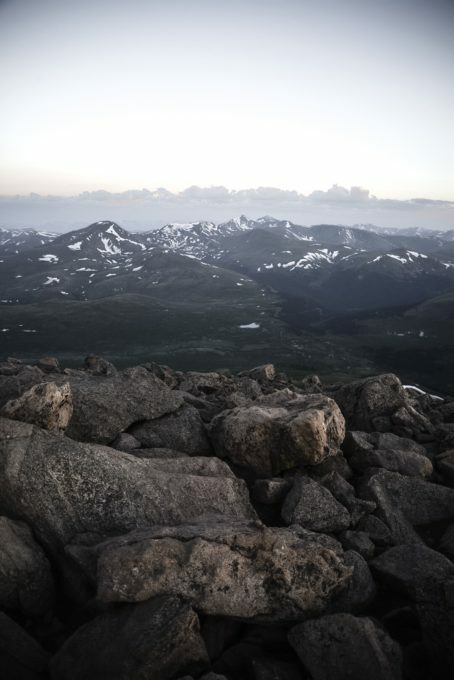 Part of me was still in a state of disbelief, and the other part of me was trying far too hard to cherish every single little moment from atop Bierstadt. Once the sun peaked just above Evans it revealed all the rock formations surrounding us. Jack and I both looked at each other. The jutted, jagged Sawtooth Ridge, connecting Bierstadt and Evans, was standing tall. Quickly, we both agreed that we would each take a turn standing on the tip of a portion of the ridge so that the other could take a shot with a human scale to what lay before us. Moments like this with the sun rising, the shadows playing in-between the peaks around us, and the clouds gaining more and more color imprint so deeply. We all hike and climb mountains for different reasons, I’m sure, but this alone was one reason to explain it all. After spending at least an hour, if not more, on the summit, and the sun clearly above us now, we decided to descend. Dozens of hikers passed us as they were just on their way up. The now sunlit trail was edged in yellow, orange, red, and purple wildflowers on either side. It was, certainly, yet another sight to remember from this trip. Despite keeping a good pace down, the 3.5 miles on return to the car seemed a lot longer than on the way up. Personally, I just think it was because I was still feeling the surreal moments that I experienced surge through me. All in all, it wasn’t the difficulty of the climb that left me proud. Overcoming the elevation and altitude alone left me content with the feat. Now, all that’s left to say is that this will definitely not be my last higher-elevation hike. I already feel the itching sensation to conquer more, to see more, and to live more. 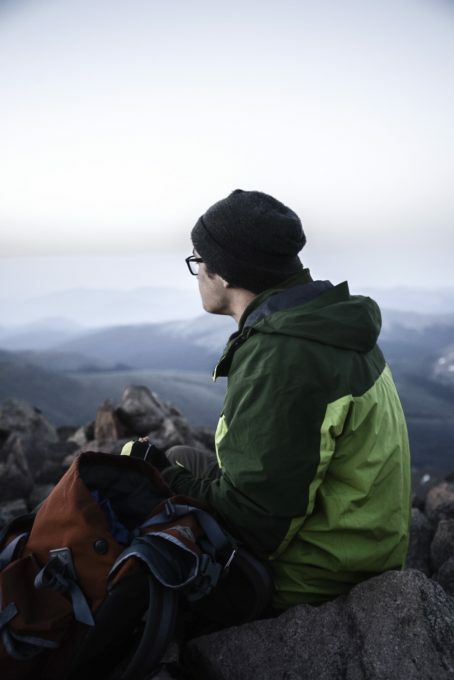 I’m a 25 year old photographer and avid hiker based out of Massachusetts. I’ve only very recently taken up photography, but having been a hiker all my life, I’ve quickly discovered how much I enjoy documenting the lifestyle that comes with spending time outdoors. 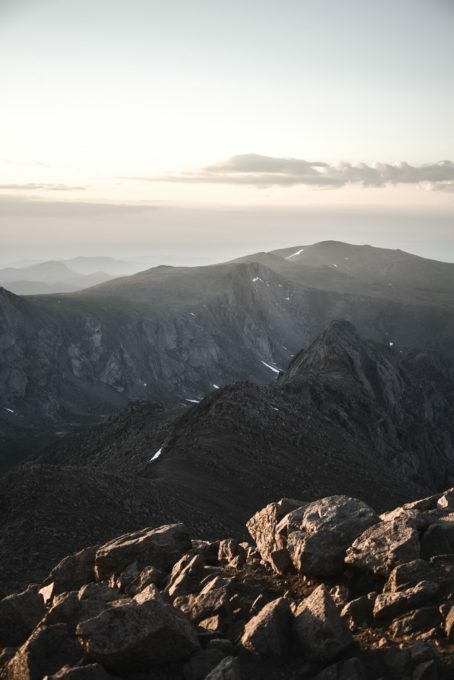 Some of my favorite adventures always include the White Mountains of New Hampshire, camping overnight, waking up for a sunrise hike, and of course, a good group of friends to share the experience with.